Mdina is considered as Malta’s showpiece for its historical and architectural heritage. The premises are located in Villegaignon Street, the city’s main pathway. The name of the street is derived from Nicholas Durand de Villegaignon, a knight of the Order of St John who defended Mdina against the Turks in 1561. Built in the late 16th century, the present building is very near to the architectural style of Girolamo Cassar. Since 2004, the premises were used as the official building which conserves the Metropolitan Cathedral Archives. The building faces another prominent 18th century palace called the Banca Giuratale which conserves a section of the State archives of the courts of law. It was built by the French architect Charles François de Mondion. The building’s façade does not bear any coat-of-arms which could provide any indication of its origins. 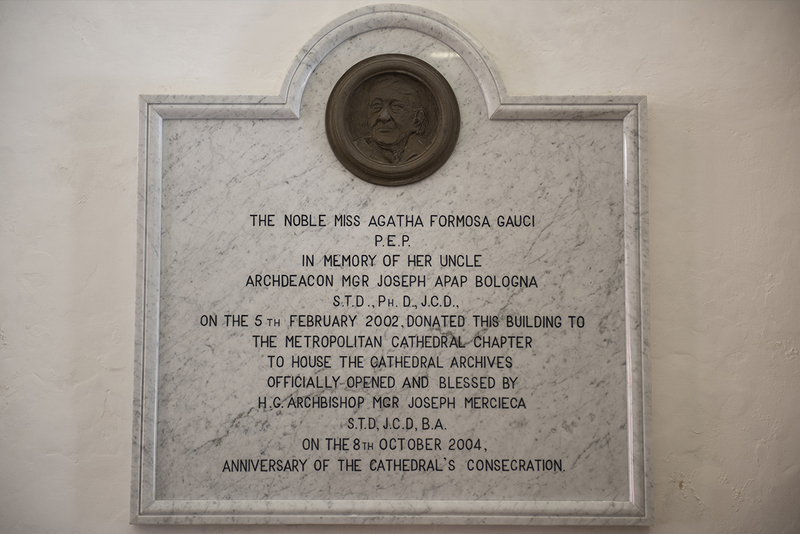 However, recent provenances of the palace recall the residences of Mgr Joseph Apap Bologna, the Rago family and the late noble Agatha Formosa Gauci. The latter generously donated the building to be used as the Cathedral Archives. The façade is built over two floors and consists of a monumental doorway which encapsulates an embellished cartouche with an inscription and flanked by two windows on each side. An open balcony superimposed by decorative stone corbels (reminiscent of the Southern Sicilian style such as Palazzolo Acreide and Ragusa Ibla), dominates the upper section. It gives access to the Gran Salone. The reception hall (entratura principale) has five stone benches and two typical late 17th century country people sculptured in Maltese limestone. 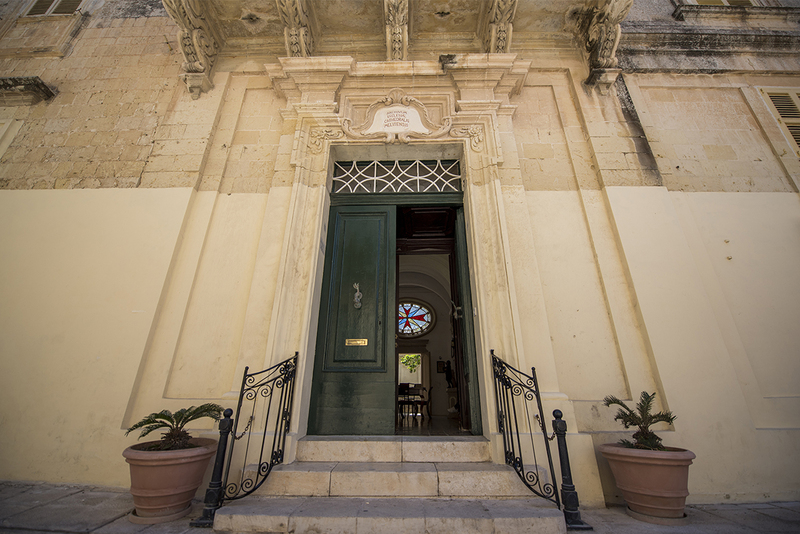 The rib-vaulted entratura is supported by two pilasters at the centre decorated by a late 19th century large glass window showing the Maltese eight-pointed Cross. It leads to a terrace. A strong room with compact shelving kindly donated by the French lady Madame Marie Amélie De Wavrin conserves the Archives of the Roman Inquisition. These records span over two hundred twenty-four years, starting from 1563. There are about 190 meters of documents which are classified into various sections. Another room conserves two other archives: the Administrative, Historical and Musical Archives of the Cathedral Chapter, and the Episcopal Archives. The latter is most probably the oldest fond in the Maltese Archives. Between them they share 250 meters of shelving. A reading room is located at the right side of the entrance hall. Comparing to the rest of the palace, the ceiling consists of five timber beams, which are supporting typically Maltese slabs. This particularly low room with its curious alcove could have been used as a birthplace. 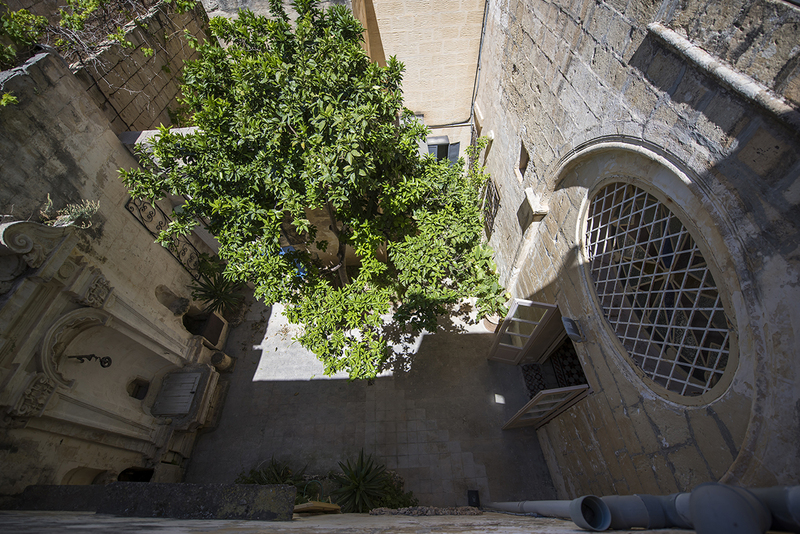 It has been recently converted and modernised to accommodate researchers with an accompanying view of the Cathedral Church and the main square of Mdina. The office window comprehends a view of the main square, including the baroque Cathedral at the backdrop and the cherry red telephone box reminiscent to the British period. A ground floor kitchenette was formerly used by previous owners mutually as a workshop and a garage with its high ceiling showing the old areas of the entire place. The Piano Nobile is reserved for the library material which focuses on the history of art, church history and a small collection of Melitensia. 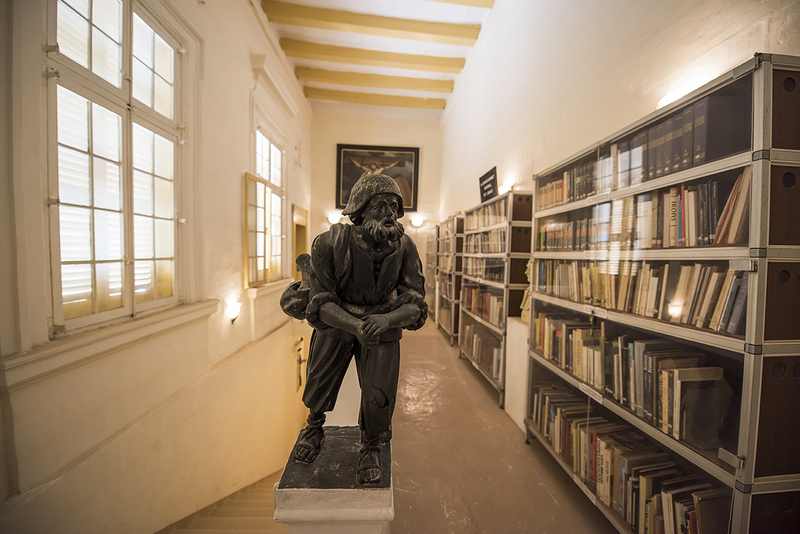 The building is equipped with Wi-Fi and has digital images of certain sections of archives. The building is open freely to all bonafide researchers. 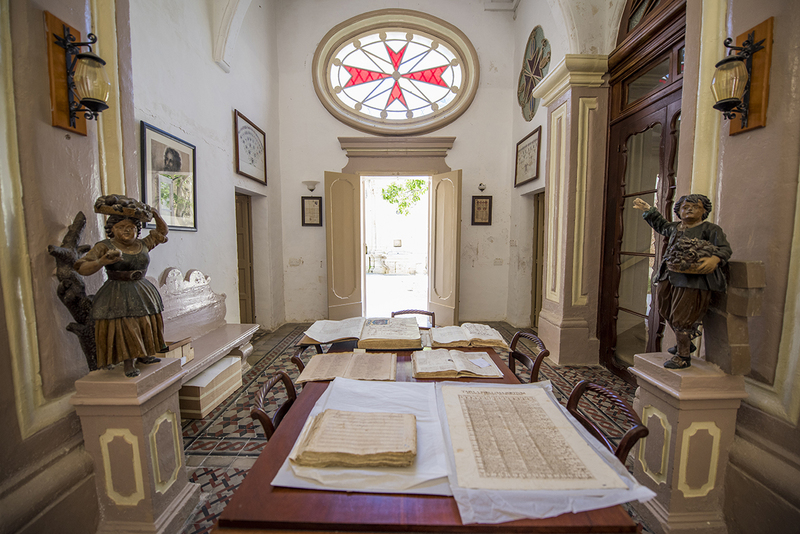 The Cathedral Archives have attracted numerous scholars and students, both Maltese and foreign. All these have contributed dissertations and numerous articles on architecture, art history, music, demography, ecclesiastical and social history and various other academic disciplines. Agatha Formosa Gauci in 2002.
and stone slabs with large windows overlooking the courtyard.